As per this study the Global Refinery Catalyst Market was valued USD 4.1 BN (by revenue) in 2018 and is anticipated to reach USD 5.1 BN by 2025 with a CAGR of 3%. Refinery catalysts are the substances that enhance the rate of reaction and helps in conversion of petroleum naphtha into high-octane liquid compounds. These are used in refineries to produce a high amount of gasoline and other petroleum compounds from the crude mixture. Refinery catalyst plays a vital role in achieving fuel and emission standard and improves conversion of the crude oil. 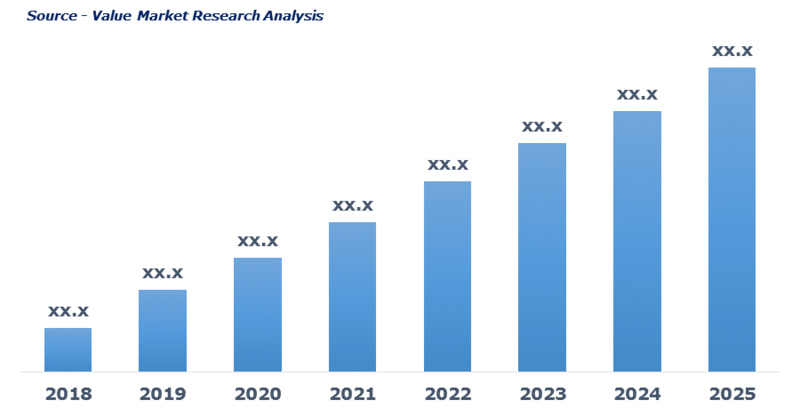 Rising demand for gasoline and other petroleum derivatives from various end-use industries is driving the market growth. Stringent governmental mandates on sulfur content within gasoline and diesel have increased penetration of refinery catalyst in the refining process. Use of a catalyst for improving conversion, selectivity and attain emission standard is spurring the market demand. Strict environment regulation coupled with rising energy demand across the globe is boosting the market penetration. This detailed market study is centered on the data obtained from multiple sources and is analyzed using numerous tools including porter’s five forces analysis, market attractiveness analysis and value chain analysis. These tools are employed to gain insights of the potential value of the market facilitating the business strategists with the latest growth opportunities. Additionally, these tools also provide a detailed analysis of each application/product segment in the global market of refinery catalyst. The broad refinery catalyst market has been sub-grouped into type and ingredient. The report studies these subsets with respect to the geographical segmentation. The strategists can gain a detailed insight and devise appropriate strategies to target specific market. This detail will lead to a focused approach leading to identification of better opportunities. Furthermore, the report comprises of the geographical segmentation, which mainly focuses on current and forecast demand for refinery catalyst in North America, Europe, Asia Pacific, Latin America, and Middle East & Africa. The report further focuses on demand for individual application segments in all the regions. The report also covers detailed competitive landscape including company profiles of key players operating in the global market. The key players in the refinery catalyst market include Albemarle Corporation, Axens, BASF, Chevron Corporation, Clariant AG, CRI/Criterion Inc., DuPont, Evonik Industries, ExxonMobil Chemical, Haldor Topsoe, Honeywell International Inc., JGC C & C, Johnson Matthey, Sinopec (China Petroleum & Chemical Corporation) and W.R. Grace & Co. An in-depth view of the competitive outlook includes future capacities, key mergers & acquisitions, financial overview, partnerships, collaborations, new product launches, new product developments and other developments with information in terms of H.Q.